As every year, this year the Municipality prepared with great care the program of this summer's events "HERAKLION - SUMMER 2018". These events will take place at the Municipal Gardens Theater "N. Kazantzakis "," M. Hatzidakis ", at the" Bethlehem "Gates (South and North) and at the Basilica of St. Mark from 8 July to 30 September 2018. In total, the events are 150, while 55 cinema screenings will take place at the "Bethlehem" Summer Cinema from 16 July to 15 September 2018. From this year's events 55 are held with Free Entrance. Theater performances: Aristophanes 'ACHARNIS - Direction: Kostas Tsianos, Euripides' HELECTRA directed by Themis Moumoulidis, HENSEEL AND GRETEL with Carmen RUGGERI, MAMMA MIA by Benny Andersson, Bjorn Ulvaeus & Catherine Johnson directed by Themis Marcello, MUSEUM of Crete, co-produced with the Municipal Theater of Ioannina and the Museum of Art, and under the auspices of the HELLENIC FESTIVAL, they present Aristophanes' comedy "THESSOFORIAZOUSES", Neil Simon with Jannis Zouganelis and Vladimir Kyriakidis and " Antigone "by Sophocles with Aimila Chelaki, Athena Maximou and Michalis Sarantis and others). Contemporary Greek Music Concerts: (Alkinoos Ioannidis, Eleonora Zouganeli, Natassa Bofiliou, Pavlina Voulgaraki, and others). Dance - acrobatic bands: Shaolin legend, Argentine Tango. Children's Theater: ("HENSEEL AND GREETEL", "ZOO END THE ZOO", "SUMMER SUMMER NIGHT", and other performances. Performances with Jogler and "Mage"
The Festival hosts 100 performances of local cultural figures. - Offers to Herakliones quality performances in Theater, Music and Dance that are presented in Athens - Thessaloniki and major cities of Greece, as well as the Athens and Epidaurus Festival. - At the same time he embraces all local artistic figures and helps them to present their work and promotes them. - Hercules have the opportunity during the Summer to attend Free (Free) 55 performances. 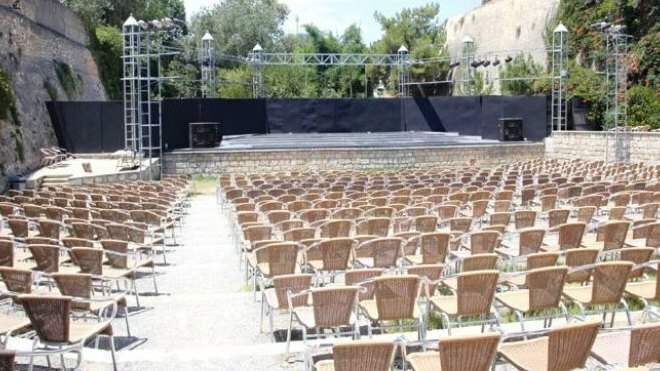 - The BETHLEEM Summer Cinema gives Hercules, a time when the Summer Cinema has disappeared, the opportunity to watch quality films (A 'projection) with a very cheap ticket (3,00 €) in the beautiful area of ​​the Venetian Walls. - With regard to management, we must emphasize that the festival's expenses do not exceed the revenues so that the Municipality is not financially burdened by this circle of events. - The most important element is the participation of Heracles in this. 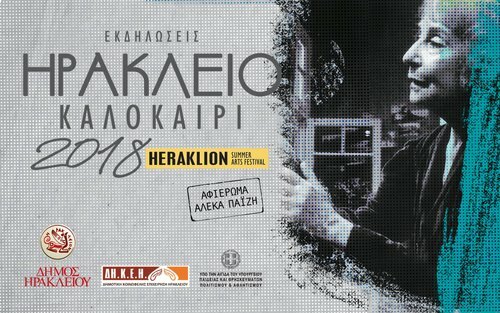 - Based on previous years and this year's participation, we estimate that the Herakleion and the visitors of our city will fill the grounds and will show the events "HERAKLION - SUMMER 2018" for another year in one of the important cultural institutions of our land. The Historical and Folklore Museum of Rethymno is housed in a 17th century Venetian mansion.